On January 10th, rising hip hop star Logic announced the release date of his debut novel titled “Supermarket”. The novel will be the rapper’s first entry as a published author. It is expected to arrive at retailers on March 26th, but pre-orders are available online now. According to the official “Supermarket” website, the novel tells the story of Flynn, a recently single supermarket employee that finds himself in a world of trouble at his place of work. The book is billed as a psychological thriller that is also darkly funny. Even though this is Logic’s first novel release, he has often mentioned in his music and interviews that he’s been interested in writing books and movies. It is clear to see that he’s trying to expand his reach in the pop culture world outside of his highly successful and still growing musical career. Aside from being behind the scenes, Logic also mentioned in the past that he’d love to get into more acting roles after having a part in an episode of Rick and Morty. Storytelling is nothing new to Logic, as the majority of his studio albums have consistent stories being told throughout them. If you are interested in hearing a story told by Logic rather than reading one, I’d recommend listening to his studio albums Under Pressure, The Incredible True Story, and Everybody. Each one is different and unique in their own way, but still somehow hold together an interesting story. Logic has also claimed that his “last” studio album, tentatively titled Ultra 85, would end the story being told in his previous work. 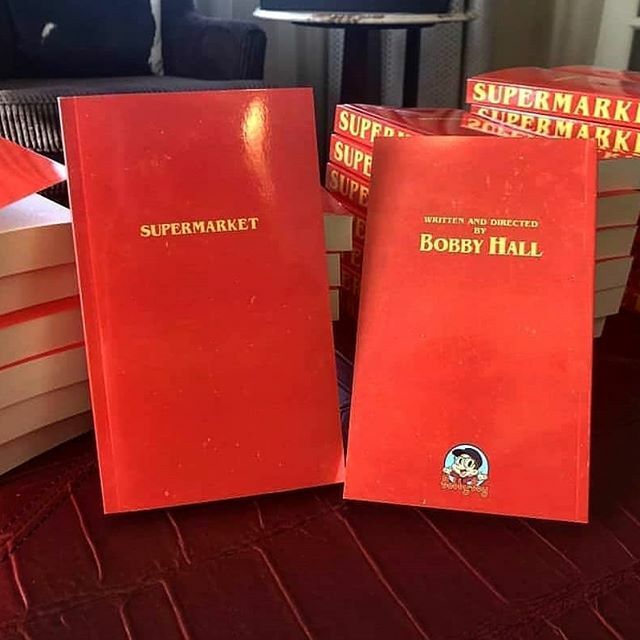 If you’d like to pre-order a copy of “Supermarket”, check out supermarketbook.com. The novel will be available at stores including Barnes & Noble, Google Play, Amazon, iTunes, and many more on March 26th. The novel will also be accompanied by a soundtrack, but not much is known about that yet. Only time will tell what Bobby Tarantino has in store for us in that regard. But if his previous work is any indication, this project will be both dope and innovative.